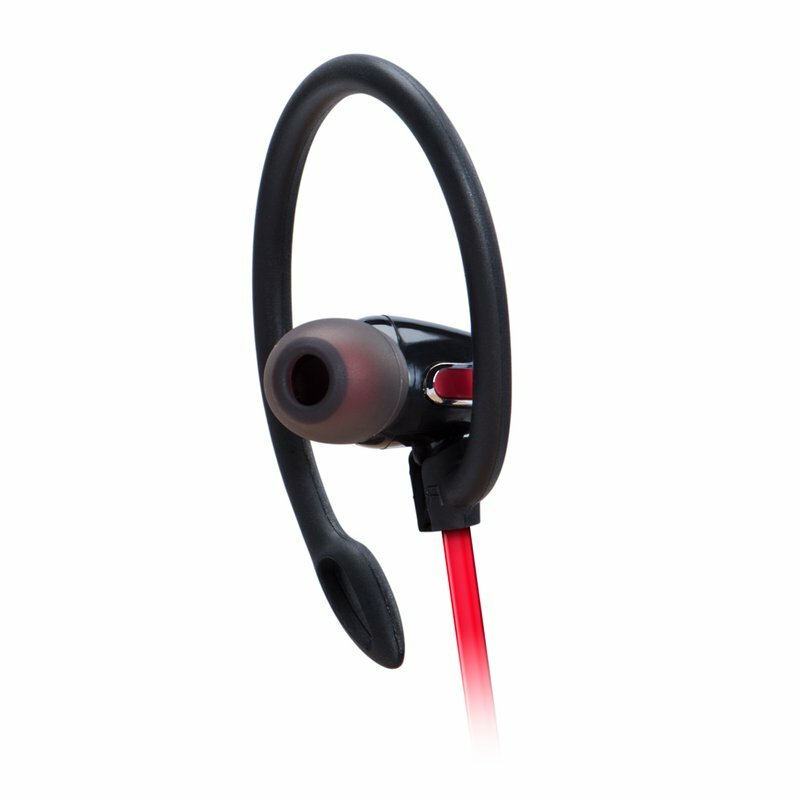 Features iPX5-rated water-resistant construction for sweat proof use and protection from the elements. 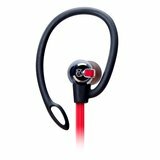 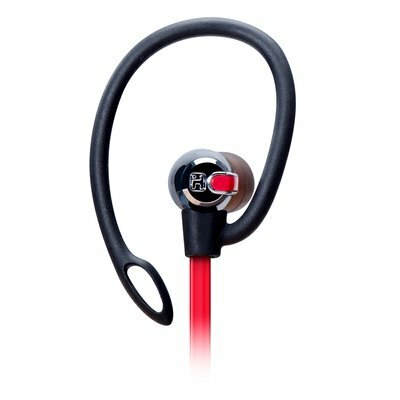 Enjoy rich, detailed sound with enhanced bass response without inconvenient cables and cords (earpieces are connected by a stylish fl at cable for tangle free use). 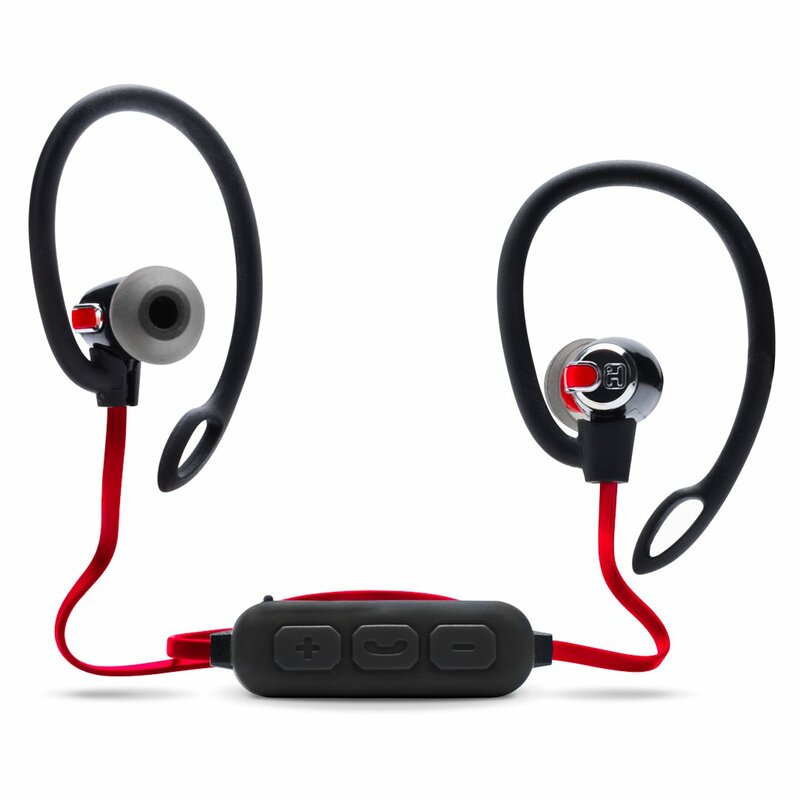 Bluetooth 4.0 wireless capability lets you listen to audio from your mobile device from up to 30 feet away, while our custom fit ear cushions make extended listening a pleasure. Internal rechargeable lithium-ion battery provides 4 hours of continuous music or talking. 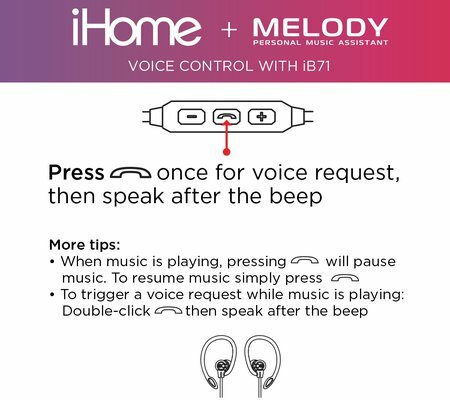 Built-in echo-cancelling mic allows you to have wireless phone calls and an in-line remote control puts track control, play/pause, answer/end calls and volume control within easy reach. Multiple ear cushions and earclips for a secure fit. 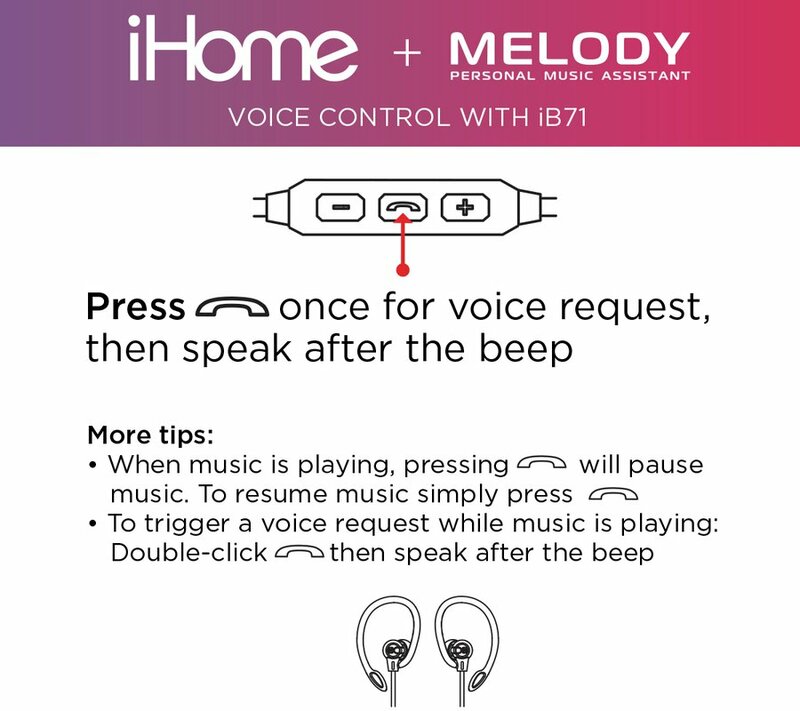 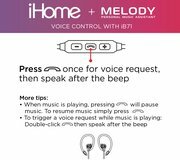 Works with Melody Music Assistant that allows you to use your voice to access music while on the go, no Wi-Fi required. 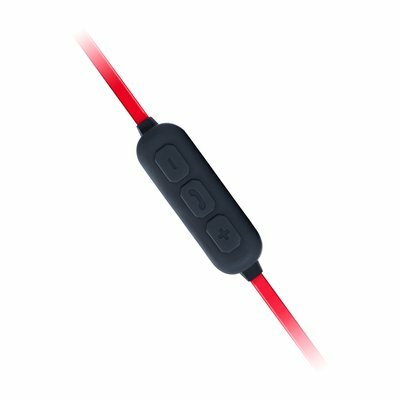 Includes important extras such as USB charging cable and travel pouch. Download warranty information for the iB71. View the iB71 support page for registration, FAQs, and more.